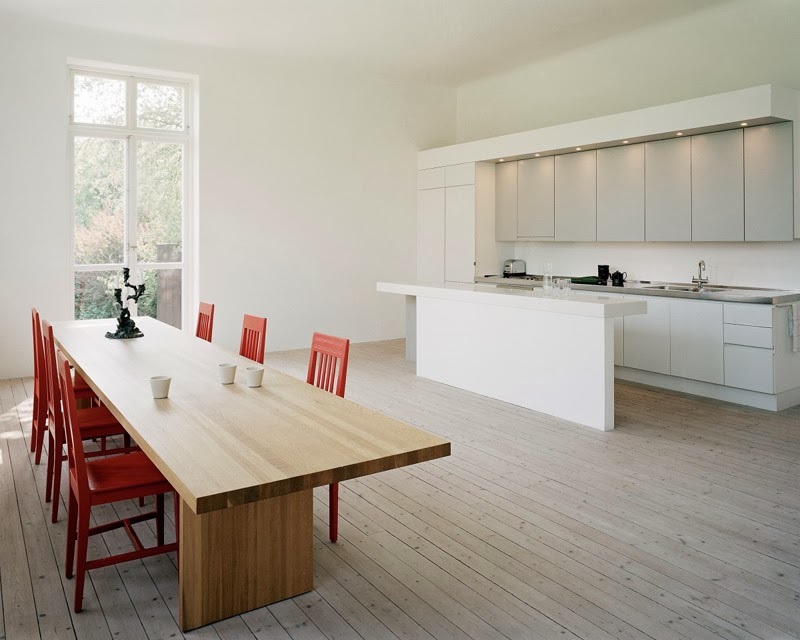 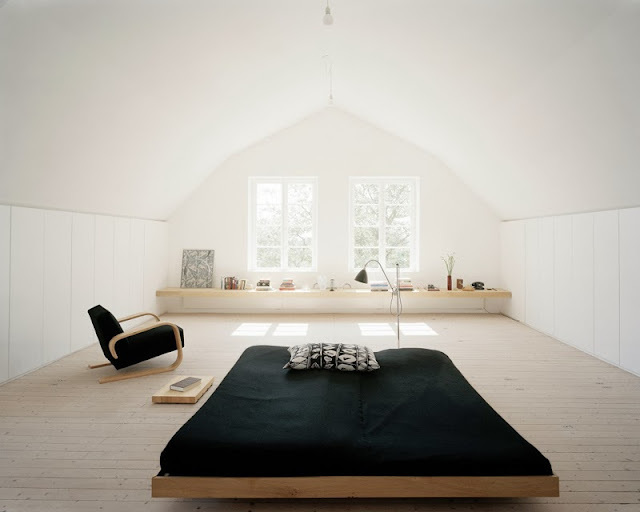 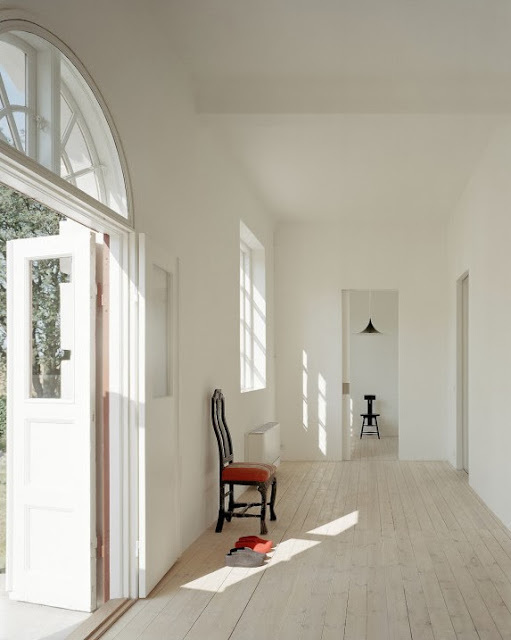 This unique house is the result of the conversion of an an old abandoned schoolhouse into the home and studio of ceramicist and glass artist Ingegerd Råman, one of Sweden’s most famous artists and her husband. 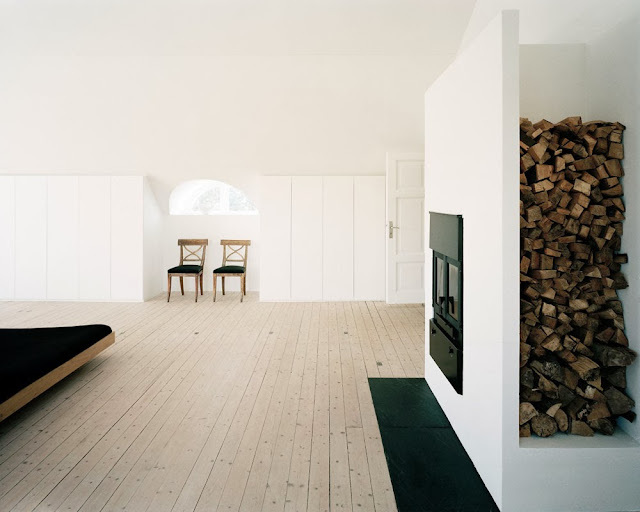 and has that quiet and peaceful Scandinavian feel and careful detailing of great craftsmanship. 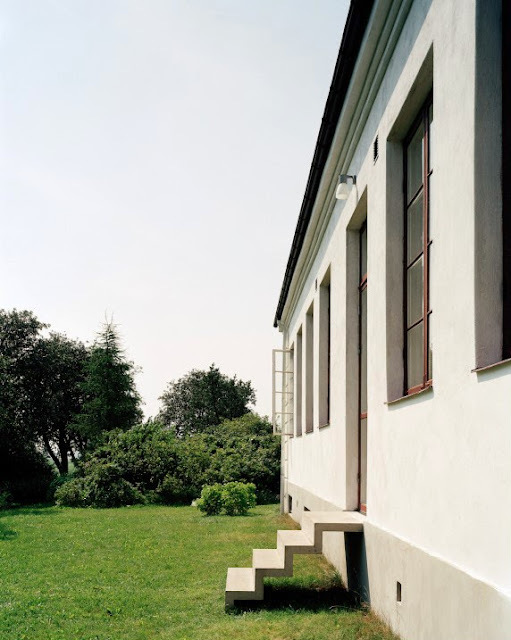 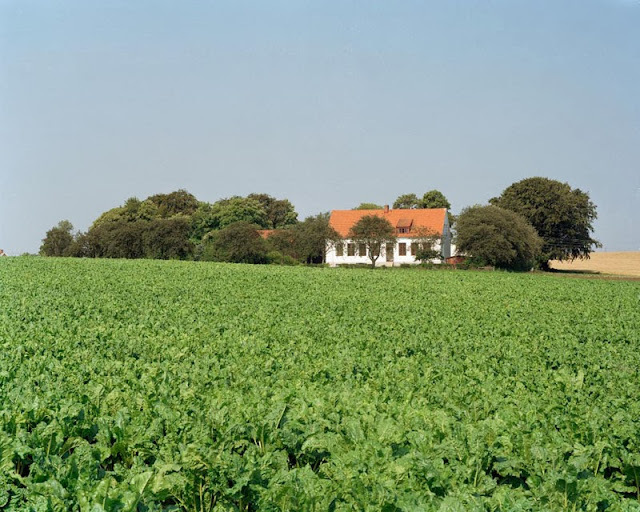 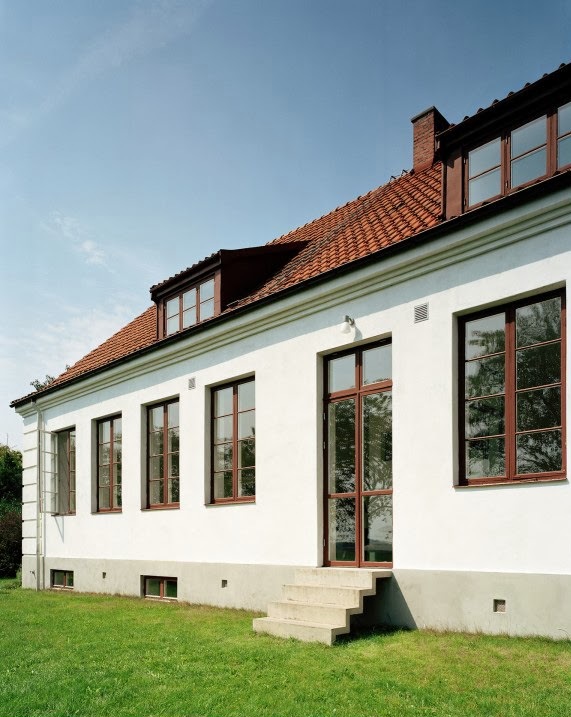 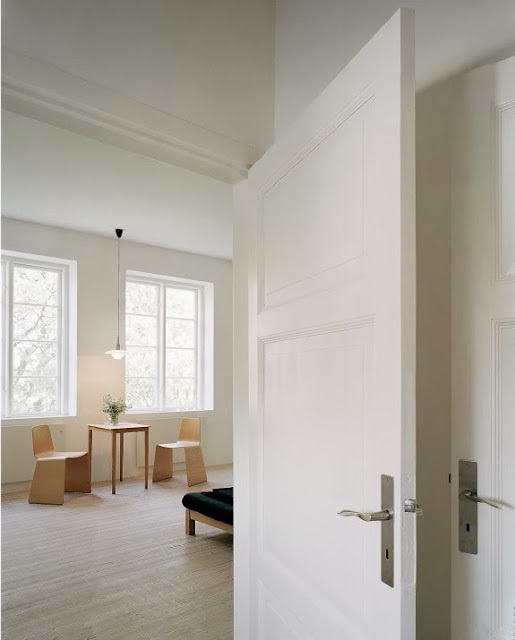 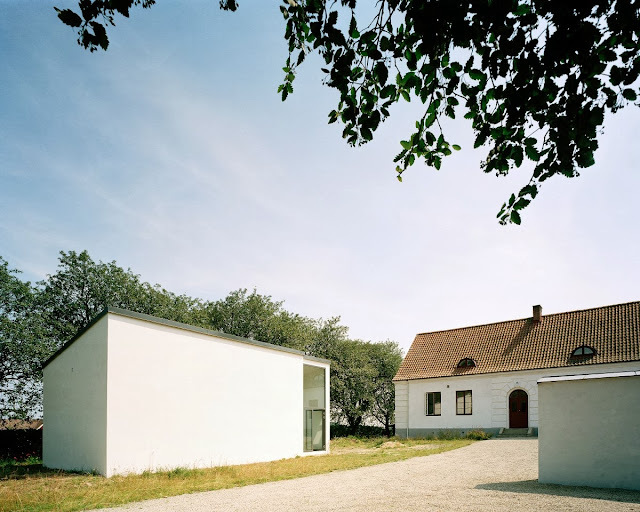 Located in Baldringe, in the southernmost Skåne County of Sweden, the typical old school building retains its traditional facade, while the interior has been transformed into an open plan, calm white space that enjoys daylight through the surrounding high windows of the old classrooms. 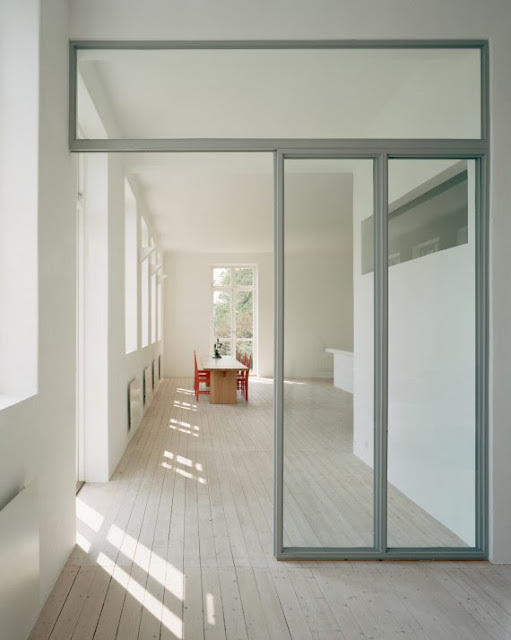 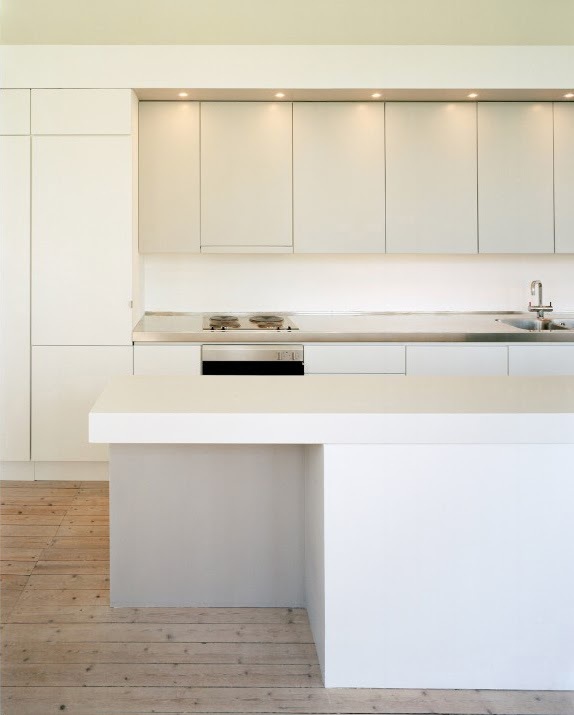 The new layout pays respect to the original structure with simplicity and fluidity of space. 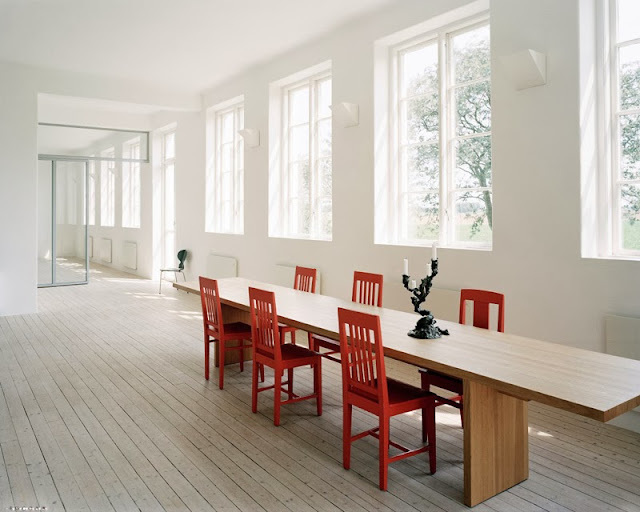 An additional studio space was built adjacent to the existing schoolhouse.